July 1, 1863. As the hot summer sun ascends into the Pennsylvania sky, Brigadier General John Buford deploys his dismounted cavalry along the ridge astride one the many pikes leading to a nearby town. As scouts report Confederate troops converging on the town, Buford’s men must give the rest of the Union army time to arrive on the scene and take up positions on good ground. The following three days of combat is remembered as the most famous battle on American soil – the Battle of Gettysburg. 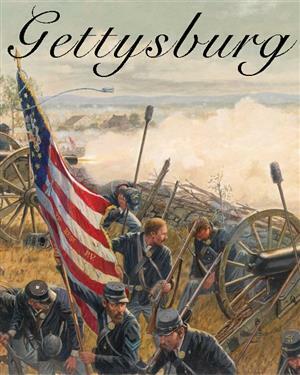 • As General George Meade of the Union Army of the Potomac, you fight a cagey delaying action as your corps arrive on the battlefield, then look for opportunities to turn the tables on the invading southerners. Will you stem the tide and break the attacking waves with your stout defense? • As General Robert E. Lee of the Confederate Army of Northern Virginia, you direct your arriving troops to unbalance the Yankee positions, then push them to the brink by pressing every advantage. Will you turn the Union flank and rout them from the field, or will the sun set over the broken bodies of your valiant soldiers? Gettysburg covers the full three days of the battle, with each game turn equivalent to 2½ hours of daylight or one night. 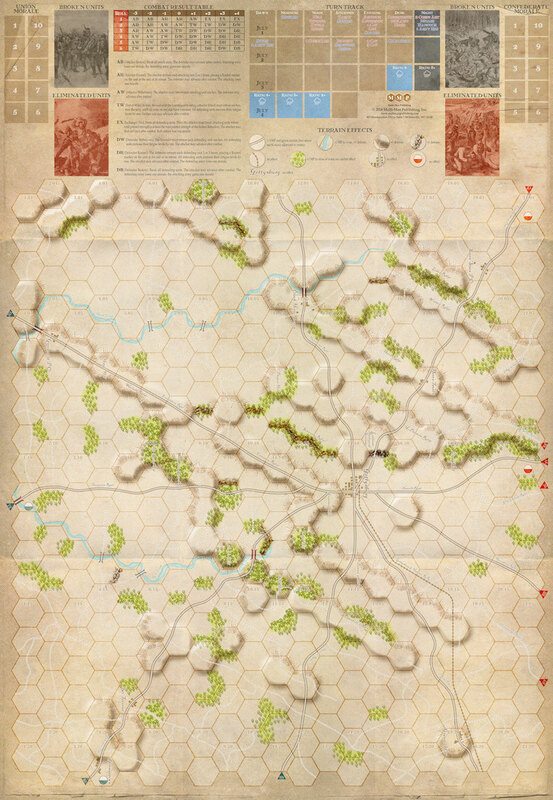 The map spans the historic battlefield and surrounding terrain, divided into 800-meter hexes. Counters represent the military units that fought in the battle, divisions for the Confederates and corps for the Union. Special markers represent leaders and artillery concentration. 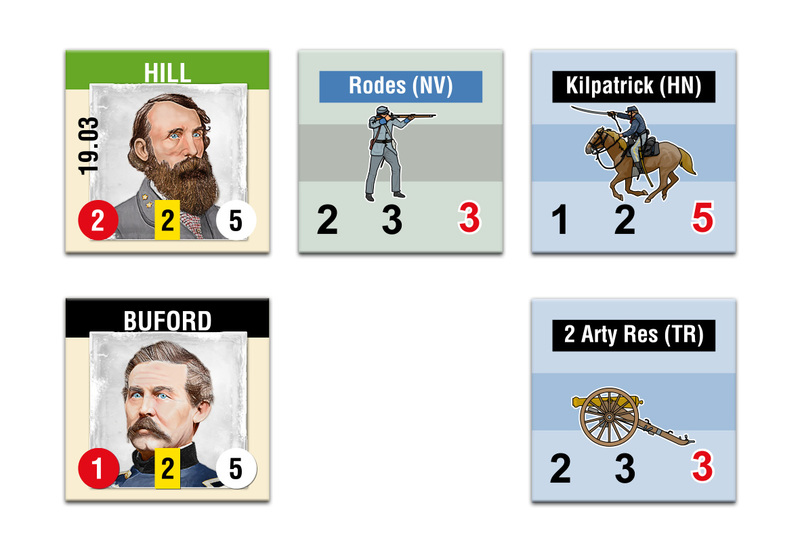 Event cards bring to life the notable moments of the battle, upsetting the perfect plans of the player and giving the game exceptional replay value. At the heart of the game system are fatigue and army morale. Units cannot sustain combat continually and will wear out if pressed too hard. Maintaining a reserve of troops to plug gaps in the line is critical. As units rout and break, or if their line of communications is cut, the morale of their army plummets. If you can drive the opposing army’s morale to zero, they quit the field and you win a “sudden death” victory. A match takes no more than 90 minutes, making the game suitable for beginners and old hands alike. The simple mechanics will have you playing within minutes of opening the box. Relive history over your lunch hour with MMP’s Gettysburg!